Blog, please meet my grandson. We’d like to introduce Elliot Tupper, and he was born yesterday in the evening, two weeks ahead of schedule. He is 7lbs 3oz, and just about the most perfect human being I have ever seen, with the exception of his amazing mother. We are all beside ourselves with utter joy. I’ll tell the story his trip, but right now I have to go smell his head again. Congrats to mom and dad for their work of art! Congratulations! I love his name. Well done all! Aw, I just realized his middle name is Tupper, like, well, your Uncle (? not sure how he was related to you) Tupper. That’s so great. That’s just beyond awesome. Awww! My heartiest congratulations! He’s absolutely gorgeous. Congrats!!! He’s beautiful! So glad you made it in time! Welcome, Elliot! And congratulations to your entire family – he’s beautiful. Oh my, intelligent and beautiful! Congrats to your whole family! What a blessing. He is so very handsome, congratulations. So happy for all of you! I became a grandmother 11 months ago, it’s the best!!! Grandbabies are the best. Congratulations, grammy! And on this day, the Yarn Grammy was born. 🙂 Beautiful baby. Grandchildren! The best! Mazal Tov. He is beautiful, healthy, and everyone is fine. All joy to you and your family. How wonderful! Congrats all around, especially on the choice of “Grammy”. He’s absolutely perfect! Congratulations to all involved! i can smell new baby from right the way over here. Congratulations to all. He is PRECIOUS!!! I have a grandson who is 19 months old now. They are amazing and wonderful and all the good things people tell you about having a grandchild is true. Here’s a wish for a long, healthy, and joyful life for him and everyone who loves him. Congratulations all around, and welcome to you, Elliot. This is truly a lovely sentiment. Well said! So sweet! Congrats to all. How exciting for your family! My congratulations to his beautiful mom and dad! He’s wonderful. He does, indeed, look uncommonly intelligent 🙂 Congratulations to the whole McPhee clan! Congratulations to all!! How wonderful!! His name is suited for fame! And he’s SO beautiful! Congratulations to Grandma, Grandpa and all! Congrats to all of you – so glad you made it home in time! He’s saying, “You! The one with the camera! Make sure to get my good side, OK?” Congratulations to all! Here’s wishing him and his family long, healthy and happy lives together! Yes what a lovely honor. To be the first grand and named after a beloved family member. My best to all the family. Congratulations all round! Beautiful Elliot, welcome. He’s beautiful! Glad you got there in time…I really enjoyed your Knit Smart class last Friday! All together now — AWWWW! Congratulations to you all! He’s gorgeous! What a beautiful fellow. Well done, Mama. And well done, Grammy. Welcome to the world Elliot! Congrats on the brilliant and beautiful addition to your family. Soak him up! Wish I could smell his head too. Me too! Congratulations Steph and family, I hope you get lots of cuddles with Elliot Tupper. What a crazy cool name! He is pointing at the camera too. Meg can you get any cleverer or more wondrous? Welcome Elliot! Thanks for sharing the very uplifting baby photo. We can all use it these days. Time for an extra PWA Bike rally donation then. I know you will have a great week! I predict much love and happiness for this little person. Congratulations! May he have a long and happy life and bring you and your family joy! Welcome to the world small one! Congratulations on your newest reason to smile. Congratulations to you and you all. Tupper – ah. And you made it home too. Some day he will realize his extrordinary luck in being born into this family. Hello, Elliot! Congratulations! He is beautiful and has made me tear up a bit in the best sort of way. He is just perfect! Congratulations to all! Congratulations! Health and healing to Meg, peace sleep, and glowing wellbeing to the entire family!!! What a sweet wee one – his names are perfect. Congratulations! What a beautiful name! Congratulations to you and your family!!! Fantastic and wonderful. AND he beat April the giraffe. I like the “word to yo momma” hands there. The baby boy is adorable! Smell his little head for me, too! Congratulations on picking a wonderful family, Elliot Tupper. Welcome to the world! I literally gasped with joy. Welcome baby! Welcome to the World, Elliot Tupper! It’s a wild ride, but I think you picked the best family to guide you through it. Welcome Elliott Tupper to the world and your wonderful family. Congrats mom and dad, your son is beautiful. He’s gorgeous & brilliant, I’m sure! Congrats to you all! One Q, though – by “schedule”, do you mean his due date or your knitting schedule? Congratulations – so much joy! And welcome to the world Elliot! He is beautiful! Welcome, Elliot, to this wonderful world. May you all be blessed. I’m so glad you got home in time! What a beautiful boy, and what a beautiful name. I am absolutely thrilled for you. Oh frabjous astoundingness magical wonder – welcome to the world, wee Elliot. You will be loved endlessly, surrounded by amazing talented caring family, swathed in lovingly crafted clothing every day of your long and joyous life, and guided and goaded and groomed for all the very best and highest good in all possible ways. Congratulations to all who hold him at the center of your hearts! I have been watching and reading and when I saw the bump! I thought … soon now!!! Best Wishes with this Bundle of Joy! He is perfect. Surrounded by so much love! Congratulations to all. Welcome to the world Elliot and congratulations to all! Ahh…that lovely baby smell…sweetness and light, it is. Many, many congratulations to you and Mom and Dad. Tell the new parents that we all said to get some rest! Congratulations! What a beautiful boy. Love his eyes. This blog experience is so amazing because I’ve been wondering about this baby (from a family I’ve never actually met!) and I just got teary-eyed seeing the middle name “Tupper” because I know what that means. Your blog has been a blessing. I only wish I knew you people IRL so I could knit him a hat, but I know this child will never want for any hand knits! Congrats to mama, daddy and the whole bunch. Definitely the smartest, most best-looking baby ever! 🙂 Congratulations to everyone! So happy for you! Congratulations! My son is an Elliot and if he is any indication, the name indicates a kid who is smart and kind and amazingly energetic! My oldest boy weighed the same when he was born. What a lucky boy Elliot is to be born to such a great family. Congratulations and blessings! What a wonderful addition to the whole family! Welcome, dear little Elliot Tupper! Thank you, Harlot, for sharing the joy of his arrival with us! Love and very best wishes to the grandparents (Grammy and ??? ), parents, aunts and all! Oh, he’s lovely! Congratulations to all! How wonderful! There is absolutely nothing better than being a grandmother. You think you love your kids? Ha!! The love you will feel toward your grandchild will eclipse that by a million! I don’t know why, but it just does. And I’m so happy she included Tupper. Made me get a little teary. What a beautiful boy with beautiful name! Congratulations to you and your family. Many congratulations! He looks just like his mom. Of course he is unusually intelligent…look who he picked for a Mama and a Grandma? (Not to mention the Grandpas and other assorted uncle and aunties and cousins). Congratulations to the family. I hope The beautiful mother is doing well and I’m glad Grammy is there. I clapped my hands in joy when I saw this. He is indeed a wonder. Congratulations to all, and welcome, Elliott! Congratulations! So glad you made it in time. A beautiful baby! Lovely congratulations . . .
He’s so handsome! And what a wonderful tribute to Tupper. Welcome, Elliott! Oh, there is nothing better than that fresh baked baby smell!! Mazel Tov, Grammy Pearl-McPhee! Congratulations to all the family, but especially Grammy! I can vouch for the fact that grandsons are wonderful and so much fun. Like others, I got a bit choked up when I saw “Tupper” being remembered there. He’s beautiful. He’s also one of the most alert-eyed newborns I’ve seen. (With the exception of my own perfect baby, says the doting mother in me.) He’s wonderful, and I hope you all enjoy him every moment. All the very best to him and Megan especially as they begin the beautiful journey of new-mother-and-baby. I loved my own journey down that path, and I hope Megan and Elliot Tucker do, too. Congratulations to Meg and her husband! Enjoy that precious baby! It’s amazing how quickly they grow. Congratulations to you on becoming a grandma. That little boy is so lucky to have all of you. So much love in your family! How can you stand that much sweetness! I’m guessing you must walk around feeling like your heart’s about to explode! Congratulations! Thank you for introducing him to the Blog. We look forward to hearing about his exploits and seeing the knitwear he dons for them. So beautiful. Congratulations to all, and I love his name. You are going to be loved so fiercely. You are a lucky little boy. Yeah!!! Healthy baby and healthy mom!!! Congratulation to everyone! Congratulations to all! What a lovely boy! And a beautiful name-choice, too. Your right, go and smell him like wild! It’s the most wonderful scent of all times! Pure Joy. Congratulations to the whole family, and to baby Elliot, Welcome Aboard! You’re really gonna like this place. Congratulations! He is clearly handsome, smart and kind – and he has the best possible birthday (same as mine)! Congratulations to you, grandmama! So, so happy for you and your family! Congrats on a beautiful baby boy 🙂 Let the baby knitting begin lol. Sooo many baby patterns…so little time before they grow out of them so good thing you knit really fast. Congratulations! He is GORGEOUS and I’m so excited for your whole family! Sending lots of love and hugs! Beautiful boy! Blessings to you all! And look at that little hand–he’s getting ready to knit just like Grammy! Joy of joys! Thank you for sharing your journey. Enjoy! Welcome to the planet, Elliot, you landed well. Not only did you choose the best possible clan to show you the ropes, but you also have a built-in fan club here in the Blog. Hope your mum is doing well and you’ve already got the grands wrapped around your perfect little fingers. Well played. Keep them close, they will teach all the fun things and the really good swear words. (And I have no doubt Tupper the First is raising a glass in your honor.) Much love and joy to all of you. Yay!!!! Warmest, coziest best wooly wishes to the new mama and papa, not to mention all the wonderful grandparents, aunts, and uncles. Welcome, baby Elliot! Congratulations! He’s awesome. And his blankie is blocking, rihgt? Pretty close. The best part of grandmama-hood is being able to hand him back to mum & dad when his diaper is dirty!! Now on to your new job of spoiling him rotten!! Hooray! What joy! Yes, I could tell by the latest preg pic that your daughter was ready to pop. So excited for all of you. Congratulations to you all, and welcome to the world, little one. So glad new mom and baby are well…and I wish you hours and hours of good baby-sniffing and snuggling time. Congratulations!! Grandchildren are God’s reward for allowing your teenager to survive. Welcome little one! So glad your grammy got home in time. He’s gorgeous – welcome to the world little one! Thank you for sharing this amazing little man with us! Best wishes for Meg’s speedy recovery. I would wish you all happiness, but, you’ve already got it! Lovely Angel! Love to the “new” family of mom, dad, grandma, grandpa, aunties and great grand! Awwwww, so happy for all of you, and adore the name. Touching the wee baby foot, I think of my own once-tiny grandson, now a sturdy almost-3. May your new little guy have a wonderful life, and may you have all the joys of grand-ing. Hope his mom is doing well and feeling good! So happy for you! He looks very much like his mama. Oh, YAY. Oh joy!!! He’s beautiful! I hope you were present when he arrived. Sending love and blessings to all of you! Such a beautiful child. Congratulations to everyone involved in the production of both the new human and the new blankie! The moon will be full in a few days. You might consider the Native practice of taking him outside to show him to the moon, length of time depending on weather, to let the moonlight fall on him for luck and blessings. A’ho. Congratulations to the whole lovely family, parents, grandparents, aunties and everyone! Elliot is so beautiful!! Congratulations and I hope you made it back in time. Lovely young man and yes, incredibly smart. Welcome, little one. Your name is perfect. You will clearly be very, very loved. how lovely! being a grandma is the best thing, enjoy it. Welcome to the best time of your life! He is so beautiful! Love the cheeks! Enjoy! From this Grandma to you, a new Grammy, Congratulations! Elliot is a lovely baby with a very fine name indeed. Of course he is brilliant…..look at the family he chose for his own. Congratulations to you all. So much joy to all of you….and Steph, there’s nothing like a grandchild, is there!! What wonderful news! He’s perfect. Wonderful! At that weight, I’m sure mom was glad that he decided to come early! Congratulations to one and all. He’s gorgeous. Great name, my 16 year old son is an Elliot too. Yay!! Lovely name. Enjoy every moment. Welcome to the world, darling E! You can’t tell how much you will be loved yet, but know that you are surrounded by joy. Blessings on you, dear one (and I bet his head smells wonderful). Congratulations to all!! I love hearing such wonderful news! He shares a birthday with my youngest. A fine day for intelligent young men! Many congratulations to you! Congratulations there’s nothing quite like the smell of a new baby. Well as long as you’re at the right end. That is indeed a perfect baby, with a lovely, thoughtful name. Congratulations to all. Eliot is absolutely beautiful! Congratulations Grammy and all of the family! What a precious addition to your family! Welcome to the world, Elliot. Congratulations to the whole family. I’m verklempt. Congratulations to the entire family, Elliot Tupper welcome to the world. Love the link to your beloved Uncle in the name. Oh my what a joy for you all, he looks clever as can be. Congratulations and all the best to the family. Mazel tov! Blessings all around. Congratulations…. he is perfect and beautiful. Congratulations to you and the whole family for such a wonderful new family member – and congratulations to Elliot for choosing such an amazing family to be born into. I am over the moon happy for you and your family. Welcome little man! Many, many congratulations to you and your family! He sure is adorable. Of course he is brilliant. All Elliots are. Spelled correctly too. (I have an Elliot). Congrats to the entire family. The only thing better then new baby smell is getting to hold him! Congrats to all. Many congratulations!!! Of course he is gorgeous- just as we expected. He’s beautifull! Congratulations to everyone. Welcome little Elliot. Love the name, just perfect. What a beautiful little boy! Those cheeks are just the sweetest. I sent a bike rally donation to honor this new little life and the start of your time as a Grammy! Congrats to you and yours! What a superb work of art that boy is. Congratulations! Oh he is stunning! Congratulations! He is a joy to behold. Congratulations! He’s an old soul you can see it already. And so clever, already pointing at the camera!! From one Grammy to another, congratulations to you, dear Harlot, and to Joe and Meg and Alex and all the rest of the clan. Meg, I know you will be an awesome parent; you were raised by the best! A blessing, such a blessing! Mazel Tov, little man, and big-hearted family! Happy birthday, Elliot and new Grandma! Mazel tov. lucky little man to be born into such an amazing family. Wishing you peace, joy and kindness throughout your life. Best wishes to the whole clan! Beautiful baby! Elliot your grandmother knows the first rule of being a gramma is that there are no rules. Stephanie enjoy the journey. Congratulations. He is a beautiful baby. Best wishes to your family. Lovely to see the love that shines in your eyes. Best wishes to you and your family. Let the fun begin . Congratulations! This teacher agrees….he looks very intelligent! Enjoy! Congratulations! what a beautuful boy and yes, i can see he’s a smart one. now i’m behind in blog reading but seriously, i can’t believe it’s been 9 months already. He’s just gorgeous and I can tell he’s the most intelligent Aries baby ever. My brothers were born on his birthday 61 years ago. Mama and Daddy are in for an interesting ride if there’s anything to astrology. I’m teary that they named him after Uncle Tupper. He would have loved that. Touched the airplane again. Must mean you made it in time. Can’t wait to hear the tale. Congratulations to the maman and papa and to you, Steph!!!! What a perfectly beautiful baby boy! Love and joy to all! What a perfect and beautiful boy!!!! Congratulation, Grammy YH!!! The Blog is celebrating with you! Debbi was right and he was ready to show up early. I’m glad to hear everyone is healthy and I agree that’s one smart looking grandson. Love the name! May he bring as much joy to your family as Cora has to ours. Sending love and kisses. Many congratulations to all concerned, especially Elliot for the intelligence he has already demonstrated in choosing your family as his. Mazal tov to you all!! He is clearly brimming with intelligence, not to mention how handsome he is. Clearly a winner, and just lovely!! Thank you for letting us know and turning a stressful day here into a very happy one! Welcome, Elliot. We’re glad you’re here. You’ve been born into an amazing family, who know how to love and celebrate life. Long may you all enjoy each other. Welcome, little dude. Hope you like handknits! Congratulations to Meg and the whole family! What an adorable and clearly brilliant baby he is! Congratulations to all! It’s a whole new world now! Mazel tov! Sweet one, if you ever doubt how much you are loved, look no further than your grammy’s blog. Many people have been looking forward to meeting you and love you so much! Enjoy those baby snorgles Grammy! They may slow down the knitting, but so worth it. Congratulations to all! And I’m especially touched that his middle name is Tupper. I’m so glad that everyone is well. I am taking care of my 3-yr-old grandchild as I type and thinking of all the joy you have ahead of you. Much love! Congratulations to all, especially Mom and Dad! Congratulations on your new family, Elliot! They are very, very special! Welcome to the world, sweet boy! Welcome Elliot Tupper! What a special name for such a beautiful new person. Congratulations to all!! I cannot wait to “meet” you Elliot through you amazing Grandmother’s blog. Welcome to Elliot and so many congratulations to Meg! What a beautiful & healthy baby! He does look quite intelligent, checking everything out there. Congratulations! Congratulations to you and all your family on Elliot’s arrival! I missed this yesterday because I was in San Diego celebrating my grandson Hudson’s fourth birthday. April 8 is a fantastic day for celebrating small men. Welcome to the world, Elliot Tupper and I love your name! Welcome earthside, dear one! And strong work to the awesome warrior mama! Congratulations! Elliot is absolutely adorable!!!! Welcome, Elliot! Wishing a long, happy and healthy life. Congratulations to all the family! Oh my goodness, what a precious baby. Congratulations to the entire family. Wishing all well! Awesome, congratulations to all of you. He is beautiful. That boy has struck gold in the family department! Congratulations! Aww! Congrats to the whole family. Welcome Elliot! Wonderful. Blessings to all of you. Oh beautiful and loved child! Blessings, happiness and sleep wished for all! How wonderful! Enjoy this very special blessing! Happy birthday ,wish you love and joy ka. Yes! If any baby was born to be a knitter, it’s this little guy. What do you want to bet that Steph has already placed the needles in his hands? She probably helped him knit a stitch or two on the blanket! Congratulations! He is utterly beautiful. Wishing the new family all the best. Congratulations! He’s beautiful! I hope everyone is doing well and enjoying this sweet new baby as much as possible. 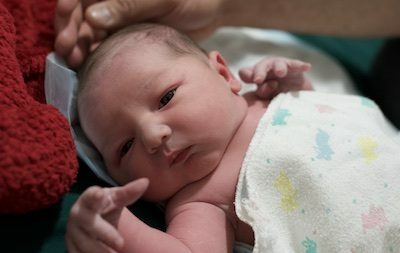 Congratulations to all and welcome Elliot! He is beautiful! I’m sure he is almost as smart as my 4 grandchildren. Very bright eyes. So happy for you. Welcome to your beautiful grandson! Congratulations to the whole family!! What wonderful news! He is adorable….looks like he’s taking it all in. What a cutie!! Congratulations all! What a beauty! Congratulations!!! Welcome to the world Elliot! Big love to you and your growing family. I have two grandsons now and they are gifts. Yay! Glad the wee man has arrived safely, and hope meg is doing well. Felicitations to you all! He is beautiful and his name is such a lovely tribute. Congratulations to you all. Perfect in every way and born to such a wonderful family! Congratulations! He is beautiful and obviously highly intelligent! Love his name! Congratulations to all of you! He’s adorable! I’m so glad that you made it home from Texas in time. When the reason for your departure was announced, you got a thunderous round of applause! So, if you were worried, please don’t worry any more. Wonderful, wonderful news! Congratulations! And yes he is clearly a genius. You can see it in his eyes. Congratulations! His name is lovely! Congrats Grandma! He’s a beauty. April 8 is a great birthday! I am happy to share. Welcome to the world, Elliot Tupper! We’re glad to have you. 🙂 Congratulations to your parents, grandparents, aunties and everyone else who has loved you for longer than you have existed. It’s not a short list, I am sure. Welcome to the world Elliot. Congratulations to the whole family. Joy, joy, joy. The angels dance! Welcome Elliot! We are so glad you arrived safely. Good job, Mama. Heartiest congratulations! I just watched the video (from the FB link in Joni’s post above) of everyone at the DFW Fiberfest waving hello to Elliot. That was lovely! Congratulations Stephanie, Meg and family! Many congratulations to the whole family, and welcome to little Eliiot. Super Congrats! Welcome to the world Eliot Tupper! Congrats!!! What wonderful news! AND he looks like his Mama!! Your grandson is beautiful! Congratulations to Mum & Dad. Virtual hugs all around (since I can’t reach you from Idaho) and all the blessings the world and heaven have in store for you. Mazel Tov! Your grandbaby is beautiful. I assume new mom and dad are doing fine (and hopefully getting some rest). Can’t wait to see him in wee knitwear! Congratulations all round – he is gorgeous. So, how soon do you plan on teaching him to knit?? BEAUTIFUL Of course he’s smart–alert and curious. Very curious–he will be fun. Congratulations to you all. 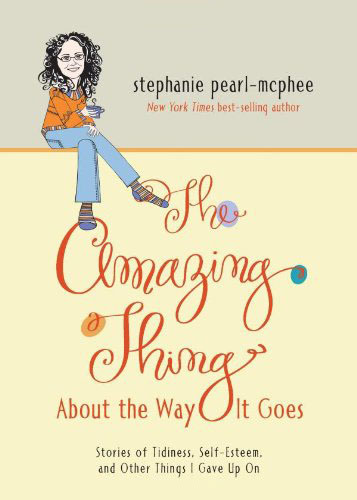 Congratulations Stephanie, this is so wonderful. Well done, Megan! He’s absolutely beautiful.Congratulations to all, and welcome home, Elliot! Looks like you made it back. Let the snorgling begin. Congratulations, Grammy and the whole family! He is adorable (and clearly brilliant)! What a lovely tribute, and what an adorable young man. Many blessings to you and your family Steph. Healing thoughts to Meg as she rests and recovers. And Elliot, may your life be blessed with great joy and happiness. Welcome to the world little man. Congratulations! Relax and enjoy, there is no sweeter time than this. He is so beautiful and precious; I am glad he waited until you were home! I hope is mom and dad are also doing well. Melanie Wilkes of “Gone with the Wind” fame said it best: “The happiest days are when babies come.” So happy for you all. Hi Grammy! Elliot is beautiful. Sniff that baby head for me–they smell so good. Tell Megan “Good Job”. He’s wonderful 🙂 congrats to the whole family! There is nothing like this adventure. Congratulations to all. Happy being a Grandma. He’s beautiful! Congratulations and best wishes to the whole family. Congratulations to Megan and Alex and all of that darling baby’s family! I wept a little remembering the deep joy and wonder of handing my first child to my own mother. Best wishes for a speedy recovery to Megan, and may Elliot’s life always be filled with love and beauty. Congrats, and welcome, beautiful baby! Congratulations Grammy and the rest of the family! What a handsome boy already and yes, he is obviously brilliant! There is a lot of love surrounding that little boy – he is very blessed. Enjoy him – no matter how much you thought you were ready, he is going to change your life in ways you never thought possible. The amount of love that wells up with a grandchild is even more than I knew it could be. Blessing to you all. He is absolutely gorgeous – a beautiful baby. Wishing you all the joys & blessings of grandparenthood. Congratulations!!! Congratulations to the new Mom & Dad, and new Grandma and Grandpa, and the aunts! Many blessings for all of you. Awwww. Congrats to all, and best wishes on the learning curve ahead. Hope you and Joe enjoy “granding” – somehow I think you will. Welcome, sweet Elliot! You’ve got yourself a wonderful family. <3 Welcome to the world, little one! I had to post this: I went into work this morning (Monday) and was about to announce the birth of the new baby, when I remembered that no one would know what I was talking about and would assume I had lost it. My immediate family, who has heard about the blog and only recognizes when I refer to you as the Yarn Harlot, not as Stephanie, only smiled and nodded when I announced the birth of this beautiful baby. They don’t get it, either. Congratulations to all! He looks like a fabulous little person. Enjoy, Grammy! I’ve got a little grandson too and he’s the best thing ever. The fun is just beginning! Congratulations to all! Welcome to the world Elliot! He’s such a cutie pie! I got a little grandson on Saturday too, Steph! I heard it was the full moon that did it! I couldn’t love him more!!! Many congratulations to you, your family, and the new family member as well. The story of how you got home is one I’m looking forward to reading… when you can tear yourself away for a minute… but don’t rush on our account. Congratulation to all. Best feeling ever. You get a baby without labor! Wonderful news! Congratulations to you all! Mazel tov! So excited for you and your growing family. <3 He's a handsome wee one. Congratulations to Elliot and his new family! Congratulations to you, Joe, and the new parents! Wonderful news! So happy for you all. Long life! Beautiful! Congratulations to you and your family. A resounding “Mazel Tov” to you all. He’s gorgeous. Congrats! The baby head smell is divine. Soak him up! being a Grandma is the best, Congrats to all of you! Oh, and that new baby smell….. Welcome to the world sweet boy! Love that they named him for your Uncle. Heartfelt congratulations to all the family and welcome Elliot Tupper! Aww, welcome to the world Elliot. I see many wonderful knitted items in your future! Congratulations and best wishes to Elliot, mommy and grammy! Mazal Tov! to you and your family! Named after Tupper … how sweet. Thank you for sharing his birth and the smell of his sweet head. Congratulations to you and your growing family! He is perfect! Congratulations! Thanks for sharing him with us! Congratulations to everyone and on becoming a grandmother! Speaking from experience, it is just awesome! Thank you for sharing the new addition to your family…blessings on all! Such wonderful news! I’m looking forward to the story. In the meantime, welcome to the world, Elliot Tupper (love the name and honoring your dear Tupper). What a lucky baby to be born into such a loving family. Well, you’ve already learned he has a mind of his own. He’s beautiful – congratulations to his parents for this amazing gift they’ve created. Their new world has just begun; trust Mama is well and resting comfortably, and I know that Uncle T is smiling down with tears of happiness. Wishing Eliot a life of love, health, peace and joy – thank you (and to Meg and Alex) for sharing. Despite the best of intentions (thank you spell check.) Touch the balloons; perfect. Beautiful boy, you bring us such joy! Elliott with two l’s and two t’s, I’d like to give you such a (gentle, hugging) squeeze! Stephanie, clean new baby scalp is wonderful to sniff, but my favorites are those tiny pearls babies have for toes — they cry out to be kissed. I’m pretty sure they’ll be adored too! What a beautiful boy with a wonderful name! Congratulations to all!!! he is ADORABLE!!! Congratulations to you all. do I dare ask if the blanket is done? Congratulations to you and your family! He’s beautiful! Oh, Elliot is so beautiful! I’m so thrilled for all of you. Enjoy every second. I can’t think of anything that smells better than a baby’s head. I’ve been reading the blog for years and can’t believe how much your family has grown in the time! Congratulations to Meg and family! Congrats to you and Meghan! Congratulations Stephanie, Meghan and Alex! I love that you gave him Uncle Tupper’s name. What a beautiful thought. Congratulations! Such a handsome little man! Congratulations to all! Welcome Elliot! He is bonny!! Congratulations to all of you, and well done Meg! Congratulations to the family on its newest addition! He is a very handsome young man. Does this mean the blanket is finished? Welcome, Elliot. You are beautiful. Congratulations, Granny Steph! Congratulations! I love how Tupper is remembered in Elliott’s name! Very special! Congratulations!! He’s beautiful and I can almost smell the sweetness on him. Congratulations Grammy! Just the cutest little boy I have ever seen. Blankets can wait. Smell his head and hold his hands. Kiss his wee feetsys and rub his tummy. He will be a man soon. Welcome to the world Elliott! Welcome to the world, Elliot! Best wishes for a long and happy life, to you and all who love you. Congratulations & Best Wishes to the new family: Meg, Alex, and the new baby (he is beautiful) and to you and Joe and Amanda and Sam and everyone. You’ll have a lot of fun with him. Congratulations! He is just about the cutest thing ever! What a beautiful boy! Best wishes to all of you! Enjoy every moment! So precious! You’re gonna love being a grandmother more than you can imagine. So wonderful. Is there anything better than the smell of a baby’s head??? I don’t think so. Congratulations, Grammy! He looks beautiful. And, he’s already reaching for knitting needles! A great sign! Congratulations! So much joy in such a little bundle. What a blessing a baby is!! Congratulations to parents, grandparents, aunts, uncles and cousins. I love his facial expression and his fingers! Congratulations to the new parents and the new grandparents!! Baby picked a fine family to join! Congratulations! Can’t wait to hear his story! Oh he is beautiful and so alert! Welcome Elliot Tupper we’re all so happy to meet you. PS I had to click the light bulb which makes me think he’ll “light up your lives”, how “bright” he is. Congratulations, Grammy! That is a very wise looking baby, he will do great things. Congratulations! So happy for all of you. What a great name! Blessings and Congratulations to everyone! Congratulations! He is so cute! Congratulations! He is an adorable little man! Fantastic news! He is so cute! Glad Elliot and mama are doing well. Congrats to the family!! I’m so glad he’s healthy and well. Congratulations to you all, he’s beautiful. Such an adorable cutie! What a wonderful and beautiful name…I’m sure your Tupper is dancing. Congratulations to all!! Wishing you and your family all the best. He is just precious! Congratulations! He is magnificient. Enjoy your time together. Congratulations! What an amazing and wondrous child! Blessings to you all! Welcome to the world Elliot and Congratulations to you all! He is perfection. Congratulations to all of you! I *never* comment on your blog posts, but this wee one deserves all of our adoring commentary. He is just beautiful. Congratulations to you and yours. Beautiful baby! Congratulations to Mom and Dad and Grandma and all the family. Congratulations to Meg and family! Welcome to the world, sweet soul. Welcome to the world Little Elliot! And welcome to Grammyhood yourself. He is soooooo cute-I’m sure you will forgive him for arriving early,(before you finished his blanket). You’ll just have to snuggle him with arms til it is done. mazel Tov to you and the rest of Eliot’s family. Congrats all around and all the best to the new parents. What a sweet little guy. Also I can’t wait to hear if you ever even made it to take-off? Congratulations to Meg and Alex, Steph and Joe, and Amanda and Samantha! And your entire family. Steph’s mom is now a great grandma. Very cool. Beautiful baby and wonderful family to belong to. Will he be called Elliott or Tupper? Beautiful. Such joy. Blessings to you all. Eliot Tupper has left me weak in the knees! He’s perfection. Much love and many blessings to one and all. Mazel Tov! Congratulations to all of you! NOW you will understand why having your own children was such a good idea, lol. There is nothing better than having grandchildren! Much love and joy to each of you! Did you get the blanket done in time? More importantly, did you make it home in time for his debut? He’s a little heart stealer that’s for sure! Handsome dude! Congratulation to the new parents and grandparents. Question is, has he already broken all the rules by arriving before his blanket is finished. Part of me is hoping he did! lol. Blessed beyond measure! Life doesn’t get better than this. Congratulations, Grandma! How exciting!!! Congratulations to your entire family! Isn’t it wonderful how our hearts get bigger with every new addition? His middle name made me teary…what a wonderful way to honor your Tup. He’s a wise one alright- look at the family he chose!! Can’t wait to hear his story! Welcome ET! What a sense of humour! He’s even pointing his finger! Love this little guy! Welcome, little man, you are both beautiful beyond words and obviously in a rush to start your journey with your fabulous family. Congratulations to all of you and much love from England. Congratulations to Meg & Alex, and a warm welcome to their Elliot . My own Eliott will be 4 in June & time has just flown by since he was born — more so too since his baby brother joined us 6 months ago. Enjoy it to the max, love to all. Congratulations! I wish much happiness for him and his famiily. I hope your grandson…and all your future grandchildren….will bring you as much happiness as my 5 have brought me! Welcome to the Blog little one! We’ve been waiting to meet you, and we’re so happy you’re here.! Welcome young man. I hope you realise just how many on-line blog-aunts you have!! And we are all delighted to meet you and say Hello. Welcome, gorgeous baby boy. Congratulations to you all!! Oh, thank you for sharing the news & his photo ! And welcome, Elliot! Congratulations to the whole family. Precious baby, perfect name. This is just the beginning of the joy he’ll bring to your lives. Can Meg hear the Blog shouting, “Welcome, Elliot!” ? For me it’s not so much the smell of a new baby as the feel – softer-than-velvet cheeks, downy hair …. mmmmmm! My grandchildren were visiting and I missed a day of checking the Blog. How wonderul!! Love and congratulations to all of you. What a perfect name! My brother Elliot spells his name the same way. What a marvelous little baby! And he was not one bit early; he arrived exactly as he was supposed to. Congrats to all of you. Congratulations! So glad he is here safely and everyone is healthy. And, of course, that you made it back in time! Can’t wait to see all the fun you will have being a Grammy. I wish you all the best and a life full of luck for the little guy. Congratulations, he is gorgeous. You are going to have such fun making happy memories together. Joy and wonder to you all! Most sincere congratulations to all concerned! What an adorable little munchkin! Perfect and beautiful and blessings on you all! Congratulations all! He’s adorable (and thinking – it’s going to be a lot of work raising these people.) Have fun Grandma! Many congratulations to you all. Thank you for sharing this lovely picture. Please give that tiny beautiful head a sniff for me. It’s the most intoxicating scent in the world! And Happy Birthday Elliot, welcome to the world! Clearly, he was anxious to come out and meet his family. Well, hello there baby! What a good name that will grow up and old with you. Job well done, Mom. Congratulations to Mama and the whole family! He’s beautiful! Awwwwww. How sweet. Congratulations to Mom and Dad, and to Grandma and Grandpa! Welcome to the world wee one, and congrats to mommy and grandma (and teh whole family of course) as well! He is gorgeous! Congratulations all around. I’ll bet he waited till you were away just to make things more interesting. Congrats! You are sure to be such a fun Grammy. He is absolutely beautiful. Congratulations to you all! Aaw! So cute! Of course he’s smart-He’s looking fright at the camera, isn’t he?! Congratulations to you, Grandma Harlot, and the rest of your family. Take care of that new Mom, too. Congratulations all around! I’m so happy for you all. I love him. Many congratulations, Grammy and everyone. Welcome, Elliot. You have a good family. What a lucky family – and a lucky little boy to be joining such a loving family! Congratulations to all and welcome Elliot! So happy for you all!!! Blessings on the new little one – I can tell from the picture that he is perfect. And he is a very lucky kiddo, being born into such a family. My squeeeeeeee went so high dogs were barking for miles! I’m so happy to see that sweet little face! Enjoy those smells, sights and sounds, they are so fleeting. Congratulations to his mom and dad, grandparents, aunties, dozens of cousins–all of you! Bloody nora congratulations to you all. And especially you grandma! (Can’t get my head around that as I always think of you as slightly older than me. I’m 35) happy becoming a grandma to my favourite person-who-writes-a-blog. He is perfect! Grandparenthood is the best. Congratulations! I’m happy that mum and bebeh are doing fine. WE are all beside ourselves with utter joy! His middle name is Tupper! 😀 I love that Meg and Alex chose to honor the family in that way. It sounds like you made it for his birth. How wonderful! Congratulations to the new Mum and Dad, AND his grandparents! life be blessed. His fingers seem ready to wind a butterfly. assorted cousins and friends, congratulations! Mazel tov! Looks like you made it for his birth. Breathe deeply for me. I swear babies heads smell like honey! Congratulations on your new grandson! He will make a fine Prime Minister some day. Mazel tov! A blessing on your house! Congratulations to everyone! I LOVE the smell of new babies. It’s one of those special things that you forget about until you smell it again. Yes, he is the smartest looking little guy. Wonderful news! Congratulations he is beautiful! Happy happy happy – Congratulations and ALL the love!! How wonderful, and a home birth too! He is awesome!! Congratulations Grandma and family!! You will be busy with all kinds of knitted boy items. Wonderful news, beautiful baby. Congratulations to all. And you know that Uncle Tupper is smiling with pride at his little namesake! So happy for you all! He is clearly brilliant as well as beautiful. Could he be anything else with those genes? And his name. Great Uncle is smiling down on you all. Well he is brilliant and beautiful!!! Congrats to all – what a blessing! Awww, so sweet! Congratulations to Mama and the rest of the clan! My husband thinks brand new babies have a look of “oh my gosh I can’t believe I’m here again!” :-)) He looks beautiful and perfect, enjoy every second! Love!!! What a darling baby, congrats to all of you! Elliot Tupper… hmmm… that’s a good Prime Ministery name there, Grandma. En stør tilykke til familien! Suddenly, they are two, so go be with the family, we will still be here when you have time! Congrats to all! He’s beautiful! Does this make you a Grand Harlot? Congratulations on your precious new arrival! Hearty congratulations on this delightful addition to your family! Congratulations to all. He. Is. Perfect. OH!! He’s just dreamy. And yummy. And delicious. Congratulations to the entire family! The world is a better, stronger, happy-er place with the introduction of little Tupper-son. Heartfelt congratulations. Such wonderful news! Welcome little one. Welcome to this amazing world Elliot! Teach us who you are beautiful child. Congratulations! So happy for the new parents and grandparents! Wonderful, wonderful, wonderful. Congrats! He is absolutely perfect! Enjoy the baby honeymoon. Congratulations to all! He’s gorgeous. Congratulations to you all!!! He’s perfection. I hope you all enjoy your new life roles. Blessings to you all. Congratulations! Can’t wait to hear the story of his arrival (as much as you all wish to share) and his lovely blanket! Grammy is a lovely title, you wear it well! Good sleeping to you all! Just so happy for you all! Congratulations, and thank you for sharing this wonderful moment with us! Congratulations all around, he is adorable! what an absolutely beautiful, precious little miracle! I had four of them and never got “over” the Miracle of it all! Truly! Enjoy every minute – and give him lots of love. He needs love and guidance even more than he needs food! Lots of colors and stimulation and LOVE! I would so love to hold that perfect little creature in my arms….they grow up way too, too fast! Love him and then love him some more…and guide him on the Right Path of life. Aww, congratulations on your first grandchild Steph, he’s a real cutie pie. And yes, he looks very smart. You can see the wisdom just verberating off of him. Congrats. I’m so glad you made it home. I have goosebumps on my arms and tears in my ears. Than you for sharing. Congratulations to everyone, Stephanie. It’s not often a blog post will bring me to tears; this one did just that. So beautiful in every way. As a Mom to a glorious girl, I know I’ll feel the same when / if she ever gives birth. All the best to you all during this beautiful time. Welcome to the world little one- and well done Meg, from a fellow “boy mama”! they break your heart but, oh, what an amazing ride!